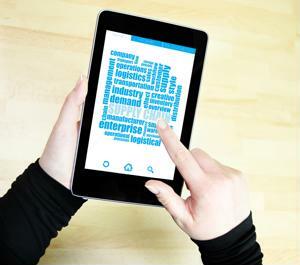 It's no secret that digital devices and automatic processes are transforming the way supply chains are managed. The updated 2016 MHI Annual Industry Report, published in collaboration with Deloitte Consulting LLP, identified eight of the biggest emerging technologies that are impacting supply chains. These innovations are creating a new framework in which the linear model is being replaced with one that is "always on," due to constant connectivity, increased intelligence and enhanced agility. The researchers also examined the popularity of each technology and how effective these components have been so far in accelerating the success of a business. "The innovations driving 'always-on' supply chains are initially disruptive, but they can empower firms to optimize processes and improve efficiency, creating a more flexible experience for workers and driving measurable business outcomes," Deloitte Principal Scott Sopher said in the press release. "According to the survey findings, adoption of the technologies covered in this report will grow dramatically over the next six-10 years." According to the report, robotics and automation and driverless vehicles and drones are the ones with the highest growth rates, with each seeing a 12 percent increase from last year. However, it was also found that predictive analytics, inventory and network optimization tools, robotics and automation and sensors and automatic identification are the technologies that offer the most competitive advantage. And although these may give companies the highest return on investment, not all are widely adopted yet. The survey revealed that the technologies being implemented most frequently among supply chain managers are cloud computing and storage and sensors and automatic identification. It is important for business executives to be careful about which technological investments they make. The MHI survey indicated that the type of technology that would be most beneficial for companies varies by industry. For example, while health care organizations should leverage predictive analytics and cloud computing and storage to improve diagnostics, reduce the wait time and enhance the accessibility of information, firms that deal with direct to consumer should prioritize inventory and network optimization tools because they can optimize shipping operations. The study added that one of the biggest issues plaguing the supply chain industry is the shortage of skilled professionals and highly-trained talent. To increase the chances of adopting an emerging technology that is effective and provides a competitive advantage, the source recommended that business executives test and learn about each innovation, prioritize talent management and collaborate with a solutions supplier. With one of the biggest barriers to innovation cited by participants being a lack of knowledgeable efficiency in properly using these technologies, to avoid being left behind, organizations are highly encouraged to leverage the expertise of a third-party firm.